Point Source Audio manufactures and distributes worldwide a unique line of live event technology including their patented comm headset; and their SERIES8 miniature microphones, known for their robust bendable boom and waterproof features, and a winner of the 2014 Best Microphone award. 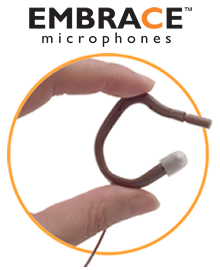 EMBRACE Microphones are custom-fit ear mounted microphone solutions for theatre, television and other applications where the microphone must be completely camouflaged yet still maintain consistent placement from the mouth even with head movement. EMBRACE lets you bend, shape and trim for a precise custom-fitted microphone in seconds—without all the time, hassle, and expense of outdated ear rigs. EMBRACE Microphones come complete with our acclaimed SERIES8 lavalier microphone, a color matched left and right Earmount, and a assortment of cable clips. For extreme camouflaging, the EMBRACE Earmounts also accept theatrical color markers of almost any color. 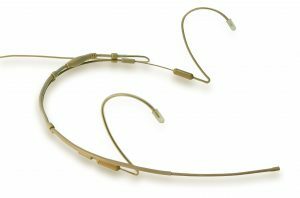 The SERIES8 omnidirectional collection is offered in 3 popular styles: headset, earworn, and lavalier. The omnidirectional pattern assures ease in fitting with a natural vocal sound well suited in low to moderate noise environments. 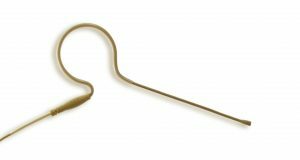 Its circular pick up pattern adapts exceptionally to a wide array of mic’ing applications. 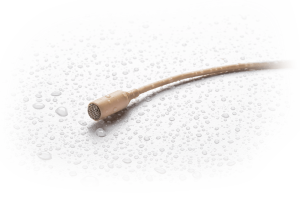 All the SERIES8 omni microphones offer IP 57 waterproof rating against water, sweat and makeup; and our super bendable boom is “Unbreakable” up to 360°. Each microphone comes with one X-Connector of your choosing for termination to your wireless system. The X-Connectors have a threaded screw connection so they are simple to remove, but remain secure while in use. CO2-8WL is 2 Mics in 1 Supporting 2 Separate Wireless Transmitters. The CO2-8WL is the world’s first fully redundant dual element microphone. The lavalier’s one-of-a-kind design pairs two microphone elements into a single housing to create a form factor that is ultra low profile. The paired elements are factory matched in frequency and sensitivity so that when vital backup is initiated any difference in audio performance is nearly undetectable. The all-in-one solution offers built-in back up and is ideal for talent requiring microphone backup in live broadcasting and production environments. 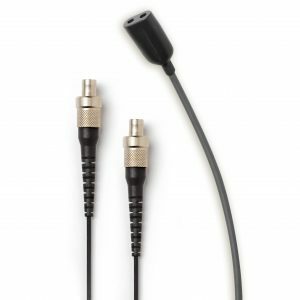 The mic cable splits approximately nine inches above connection to the body-pack to allow ample separation between the transmitters. The CO-8WD is a fully integrated dual ear headset microphone providing you with absolute confidence in fitting and microphone placement. The omnidirectional pattern assures ease in fitting with a natural vocal sound well suited in low to moderate noise environments. 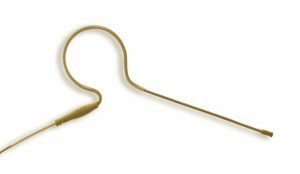 Its circular pick up pattern adapts exceptionally to a wide array of mic’ing applications. The CO-8WS features our “Unbreakable Boom” and is a highly durable omnidirectional earworn microphone constructed to suit the most demanding commercial and professional applications. It adapts well to almost all mic’ing situations where environmental noise is low to moderate. 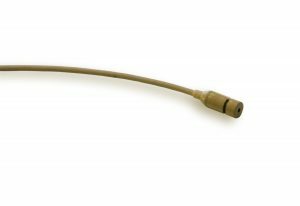 The CO-8WL and CO-8WLh (high sensitivity) Waterproof Lavalier Microphone has a low-profile of merely 4mm in diameter, but it embodies all the high performance characteristics you might expect from a larger format microphone. 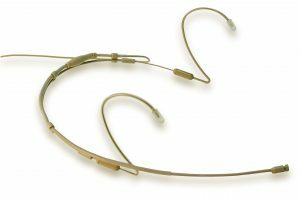 The SERIES8 cardioid collection is offered in three popular styles: headset, earworn, and lavalier. The cardioid pick up pattern is ideal in applications when there is more than one mic being used, in live performances, and in some recording situations. 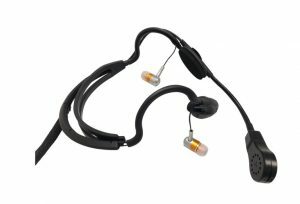 A unique benefit of the SERIES8 cardioid headset and earworn microphones is that the capsule is especially miniaturized and there is no need to force the mic directly in front of the mouth as with other cardioid microphones. The boom of the microphone can sit comfortably at the corner of the mouth so an unobtrusive appearance is easily achieved. 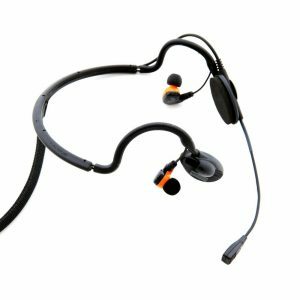 Both the headset and earworn mics feature a boom bendable beyond 360°. Each microphone includes one Interchangeable X-Connector for termination to your wireless system. The CR-8D is a cardioid dual ear headset microphone ideal in applications when there is more than one mic being used in close proximity, in live performances, and in some recording situations where feedback may be an issue. A cardioid headset microphone will pick up one focused sound from one direction compared to an omni that picks up from several directions. The CR-8S is an exceptionally durable cardioid earworn microphone ideal for producing performance grade audio quality that is typically only experienced using a larger format microphone. A cardioid headset microphone will pick up one focused sound from one direction compared to an omni that picks up from several directions. 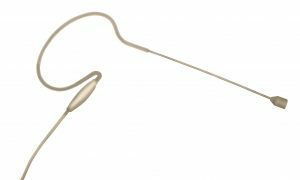 The CR-8L Cardioid Lavalier Microphone is a miniature microphone designed with a tight pick-up pattern to address feedback concerns. The microphone has an extremely small format of a mere 4mm in diameter, and a surprising capability to handle up to 135dB max SPL. 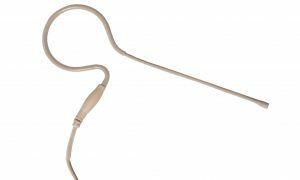 The CO-6 earset mic features speech optimized characteristics at a maximum 125dB SPL, but it includes all the premium attributes that come with the celebrated “Unbreakable Boom”. The CO-6 Earworn Microphone is designed for vocal reinforcement for church liturgy, aerobics instruction, singing, lecturing, sports-casting and other applications that require high quality vocal pick up in a hands-free environment. The boom life is prolonged with the enhanced durability of the completely bendable boom. The convenient placement near the mouth greatly reduces noise from wind and clothing. Additionally, its distinguishing clarity in close-talk operation and excellent gain before feedback make it suitable for applications where higher degrees of speech intelligibility are desired. 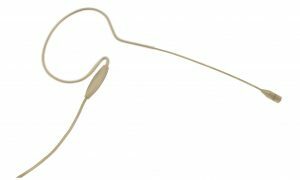 The CO-5W waterproof microphone is a durable earworn microphone with flexible boom designed for vocal reinforcement. Moisture, sweat and stage makeup have met their match with the water protected element of this microphone. This water, sweat, and makeup proof microphone defends against all types of challenging stage and weather conditions. Sweating from humidity? Splashed by seals? Drenched from rain? The CO-5W waterproof microphone will not let you down. The CO-5W has an impressive Ingress Protection (IP) Rating of 57, whereas the first digit (5 of 6) references particle protection, and the second digit (7 of 8) references liquid protection. The CO-5W water, sweat, and makeup proof microphone has an omnidirectional polar pattern that allows a full 360 degree pick up of sound providing a natural blend of voice and ambience. The design of the CO-3 earworn microphone lends itself to reduced speech produced “popping sounds”, voice overloads in close mic applications, and the convenient placement near the mouth greatly reduces noise from wind and clothing. Its distinguishing clarity in close talk operation and excel-lent gain before feedback make it suitable for applications where higher degrees of speech intelligibility are desired. The CM-i5 is the latest addition to the company’s radically new and patented line of in-ear headsets. The CM-i5 includes a slimmer, lighter condenser microphone designed for clarity and all-day wearing comfort. The new headset is among the world’s only modular in-ear headsets offering a revolutionary combination of in-ear performance, lightweight comfort and earphone modularity. The robust feature set makes the headset ideal for broadcast teams from directors to camera operators who rely vitally on the ability to hear clearly—and react quickly in order to capture live action shots. The CM-i3 is the world’s first modular intercom headset. This intercom headset has a patented slim-line design that allows for three listening modes. Rather than having to remove the entire headset to check environmental sounds or interact with others, simply remove one or both earphones to exit the listening mode or monitor a mix of feed audio and surrounding acoustics.